Comments from Toshihiro Nagoshi, Kazuki Hosokawa, and Daisuke Sato. IGN Japanrecently spoke to Ryu Ga Gotoku Studio head Toshihiro Nagoshi,Judgmentproducer Kazuki Hosokawa, andYakuzaseries andJudgmentproducer Daisuke Sato, who share various tidbits onJudgmentand the newYakuzagame starring Ichiban Kasuga. 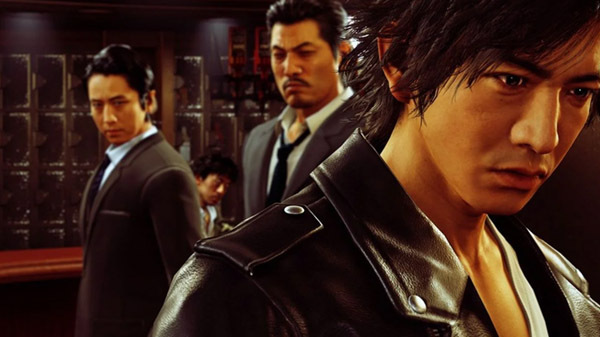 Parts ofJudgmentbegan localization began about a year before the Japanese release, which allowed the western release to launch just six months after the Japanese release, according to Hosokawa. Nagoshi added that a simultaneous worldwide release was possible, but that from a business perspective there are so many big releases in the west that sales data takes time to properly forecast. “IfJudgmentsells well overseas then we will have the data so that if we do end up making a sequel, it may become possible to consider a simultaneous worldwide release next time,” Nagoshi said. The localization forJudgmentwould be finished by now if they did not have to change the character model and actor for Kyohei Hamura. The western release is currently in QA. A PC version ofJudgmenthas yet to be decided, but other formats are being considered. “It’s not impossible, but I can’t say either way,” said Hosokawa. There are “no plans at the moment” for aYakuzagame for Switch, according to Nagoshi. Nagoshi would say yes to Kazuma Kiryu being invited toSuper Smash Bros., but does not think director Masahiro Sakurai would be interested. Read the full interview atIGN. Judgmentlaunched for PlayStation 4 in December 2018 in Japan, and is due out in the Americas and Europe on June 25. The western releasewill modifyKyohei Hamura’s character model and Japanese voice actor. The newYakuzastarring Ichiban Kasuga has yet to receive a release date in Japan, but will be released for PlayStation 4.